In this edition of Taco Diaries, we travel to the streets of North Hollywood for tacos estilo Guerrero. Tacos El Venado offers delicious al pastor with pineapple, homemade strawberry lemonade and a variety of delicious salsas. It was started by a brother & sister team 6 years ago and just celebrated 100K followers on instagram. I recommend the queso taco al pastor with pineapple and the spicy red roasted salsa! We went to one of 4 locations on the south side of Victory Boulevard near the corner where Lankershim meets Colfax. This past Taco Tuesday, I enjoyed myself more than usual thanks to #VidaLexus & my former work buddy, Pili Montilla… the charming TV host of Té Para Tres. We celebrated the season finale with a concert series featuring LA’s finest… Ozomatli and company. When I say company, I mean.. Grammy winners La Santa Cecilia, los enmascarados desmadrozos de la cumbia El Conjunto Nueva Ola, the 1st lady of Los Angeles Alternative music María del Pilar, The Songbirds singer Erica Canales and celebrities like Justin Baldoni from the Golden Globe award winning show “Jane the Virgin”. I got to take a photo with Justin, but the music was so loud, I failed to mention how much I value his efforts to help the people of Skidrow. For more information please click here or follow him on Instagram @JustinBaldoni. I was having such a good time, I threw myself into the crowd while shooting and left my heart and soul on the dance floor. Luckily, Carlos Santos was there to break my fall, and I was able to walk gracefully out of the event. The night wouldn’t be complete if I didn’t enjoy a taco or 2 on my way home. I made a quick stop at Leo’s Tacos on La Brea & Venice Blvd to help me heal my ankles. It really was a blast to see so many familiar faces from my LATV days. Hopefully next time gravity will be kind. Enjoy the shots! Workout, eat and drink! I love it. 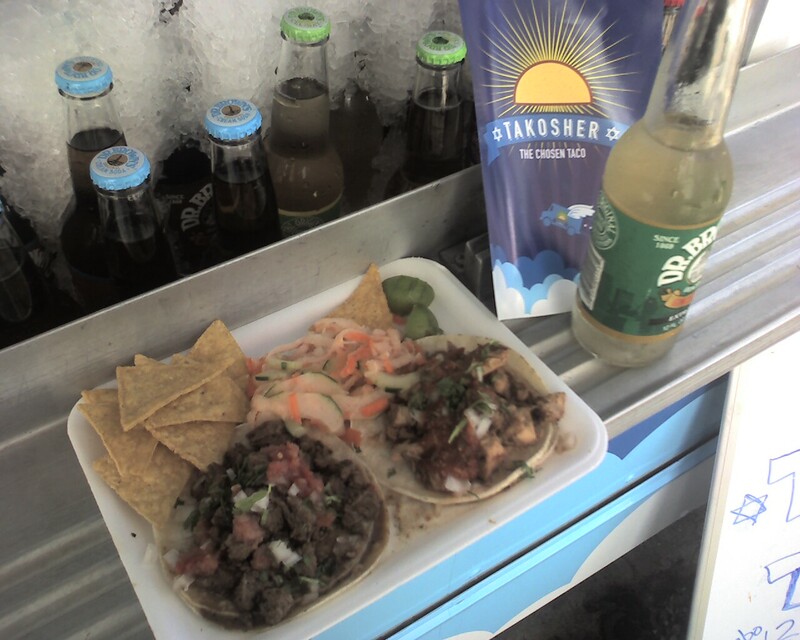 Life is good when you can enjoy the finer things in life; tacos, beer and fresh air. I haven’t been this excited since my mothers last green mole! Here’s the deal: The event is being held Saturday August 15th at the LA Waterfront in San Pedro. 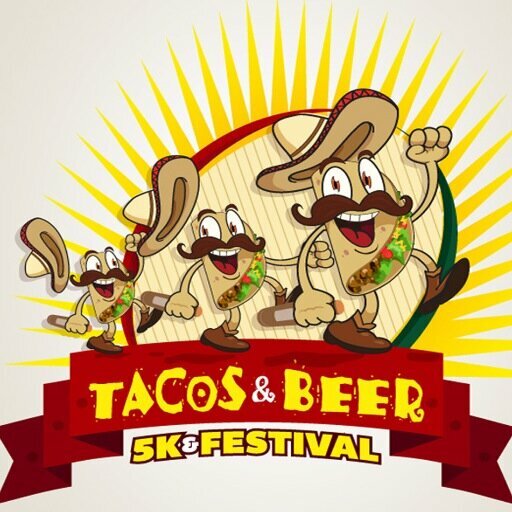 The highlight of the event is, you guessed it… 2 Tacos, a Beer (21+), shirt, medallion, costume contest and a party that includes a mechanical bull and hopefully a Donald Trump piñata. Prices increase as we get closer to the race, so save your money and buy it today for $35 on GroupOn. The taco gods have spoken. Thank taco heavens for tacos and beer! See you at the finish line! Tacolandia is coming soon and it’s officially SOLD OUT! The delicious taco fest that started 2 years ago has and exciting selection of more than 80 of the best taco creators curated by el mero mero pachanguero Bill Esparza from LA Weekly. PS: Watch out for the #tacologist judge Patricia Lopez, she likes it hot!